Depending on who you who talk to, Zu Audio’s Sean Casey is either the second coming of David Koresh, or one of the smartest loudspeaker designers around. Zu Audio broke the cardinal rule of high-end audio (Don’t expand too quickly), and paid for it by almost tanking a few years back. Fortunately, Casey and Co. are a creative and passionate crew who really love to build great loudspeakers, and managed turned their ship around. If you have ever been to an audio show, you are painfully aware (unless you are one of those people) that listening to music that you might actually like is a major no-no. Manufacturers have evolved over the years, but it’s not uncommon to clear a room with a musical selection if it doesn’t adhere to the rules. Patricia Barber and other audiophile drivel masquerading as jazz music always gets a thumbs up. Radiohead or Andrew Bird? You’ll be lucky if you get through one track before your music is handed back to you. 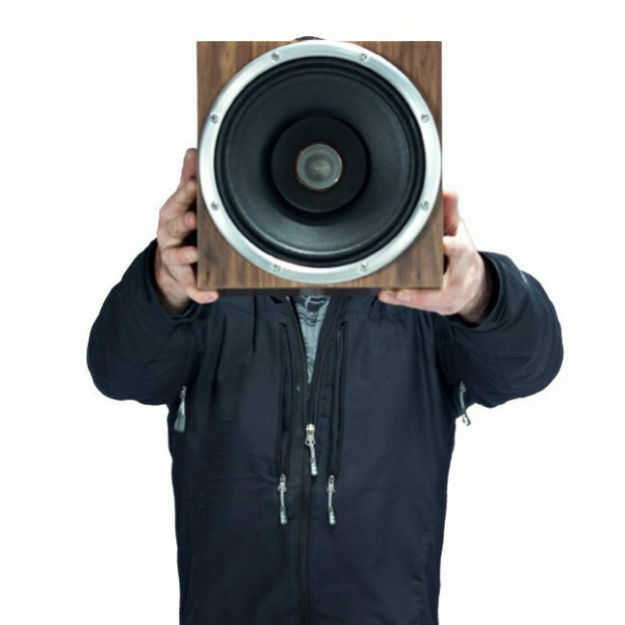 Ironically, the Zu Audio room usually sees the most traffic and the fastest exits as Casey and his son, Ian, spin music that drive the audio cognoscenti into fits. How dare they play music other people like? The Zu “sound” is about connecting with the music – the passion, the energy, the gestalt of the moment. It does most of the audiophile things really well too, but for some, the exuberance and overwhelming wall of sound is too much. If connecting to the music is what matters to you most, Zu just introduced a fascinating little desktop or bookshelf loudspeaker that we think you’ll want to hear. The $1,440 (per pair) Union Cube are already back ordered and that’s a very good sign indeed. The Union Cubes are 10.5-inches in all dimensions (that would be a…cube!) and a rather hefty 27 pounds each. Offered in walnut and in a variety of satin finishes (ask and Zu Audio will quote you a price), the Union Cubes are ideal for a desktop because they are so easy to drive. With a 98db sensitivity rating, they need only a few watts to really sing in a small space, and while they sound absolutely stellar with a quality stereo integrated amp, they really get under your skin with a low-powered tube amplifier. Sean Casey sleeps with a turntable under his pillow so those looking for a great loudspeaker to enjoy vinyl through are well served. Your $1,440 actually pays for something more than just a pretty looking cube. Zu’s cabinetry is beautifully done and well constructed, but the magic comes from the speaker’s custom 10-inch, full-range, nanotech driver which incorporates a woofer and tweeter in the same package. This is custom work which some might consider a bargain, considering the quality of the construction and materials. Like all Zu models, the Union Cube can absolutely pulverize your room with ridiculous volume levels, but that’s only one small part of their magic. Combine a pair of Union Cubes with one of their Undertone subwoofers ($2,000) and you have a full-range system that can evolve as your tastes change.